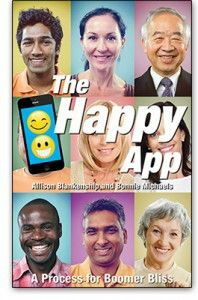 “Will I Ever Be Happy Again,” was a topic discussed at a boomer workshop and many attendees had a variety of losses that often interfere with happiness—partners, savings, jobs, health, as well as issues with children and grandchildren. In this day and age of great change and transition, it is an important question and one not easily answered. The poignant question can’t be answered until happiness is defined. In many instances, happiness is a personal issue. Yet, research shows there are some criteria to consider. Studies suggest that happiness comes from many things other than material possessions so the first step is to rework your American Dream to fit the new reality of our times. If your American Dream has set up expectations for the way you are supposed to live your life, it is time to throw those expectations out and start with a clean slate. If you are out of work, a time out is sometimes a blessing in order to reevaluate what is important and uncover your real happiness by creating a new American Dream. That dream may not look like anyone else’s but it can bring you happiness. The upside of your present situation, whatever that may be, is that you can create new rules for yourself that will allow you to harness the power of change. Think of it like your computer, “perform a systems upgrade,” by examining and reevaluating your hopes, retirement plans, and expectations in order to adapt to new circumstances. Your strategy for survival and happiness depends on your ability to adapt. Make a list of new rules that you will incorporate into your life as you rebuild and re-envision. 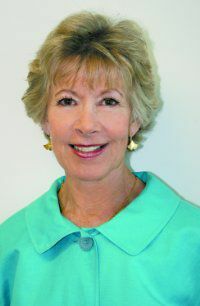 Bonnie Michaels is an expert in work-life balance, transitions and happiness. She provides solutions for individuals and businesses around the globe through her consulting, workshops, speeches, media appearances and writing. She has co-authored Solving the Work/Family Puzzle, A Journey of Work-Life Renewal: The Power to Recharge & Rekindle Passion in Your Life, Upside: How to Zig When Life Zags, and the new e-Book The Happy App: A Process for Boomer Bliss.